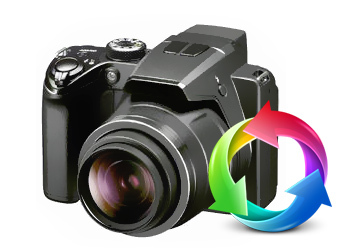 Digital Camera Data Recovery Software restores lost photos, images and video clips from digital camera storage media. Software restores data lost due to accidentally pressing delete button or removal of memory card when the device is in working mode. Program supports recovery of different types of files saved in mpeg, midi, jpeg, png, gif, bmp and other file formats. Supports all major file formats including mpeg, midi, jpeg, png, jpg, gif, bmp and more. 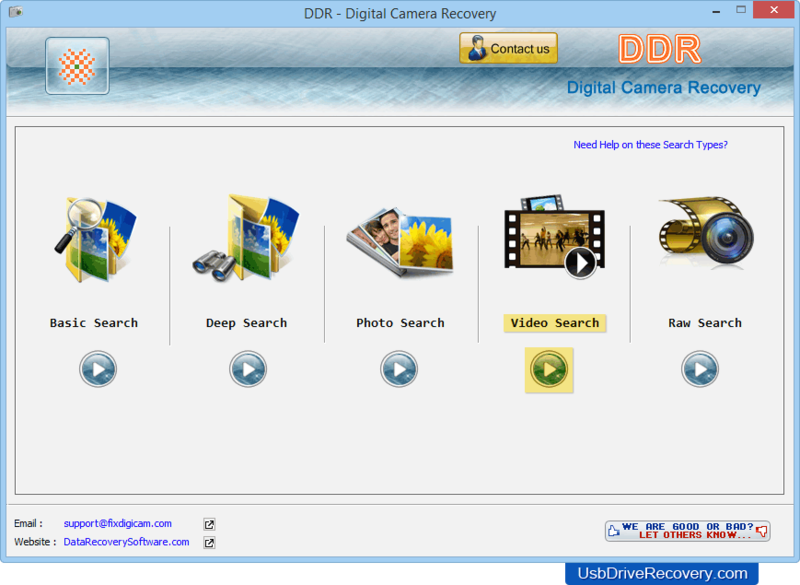 Restores data in major data loss cases including logically corrupted digital camera, formatted digital camera drives, improper handling of the device and other similar data loss reasons. Software supports all popular digital camera types including Digital video camera, Specialty camera, Novelty camera, Professional camera, Point and Shoot camera, etc. Works with major digital camera manufacturers like Konica, Nikon, Panasonic, Kodak, Sony, Toshiba etc. Choose any one searching mode to recover deleted or lost files. Here, we have chosen 'Video Search' mode for demonstration purpose.